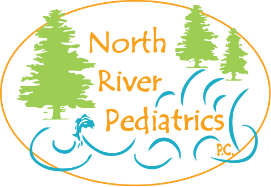 North River Pediatrics firmly believes in the effectiveness of vaccines to prevent serious illnesses and save lives. We also firmly believe in the safety of vaccines. All physicians and staff provide vaccines on schedule to our own children. Our office follows the vaccine schedule outlined by the Centers for Disease Control outlined by the Centers for Disease Control and the American Academy of Pediatrics which has been scientifically tested for safety and efficacy.